Dr. Brockmeier joined the UVA Department of Orthopaedic Surgery in 2010. He specializes in Sports Medicine and Shoulder Surgery. This includes arthroscopic and reconstructive surgery of the shoulder and knee with a specific focus on sports injuries of the upper extremity. He has advanced experience in arthroscopic shoulder techniques including arthroscopic rotator cuff repair, arthroscopic labral repair and shoulder stabilization, management of shoulder instability including bone grafting procedures, biceps tenodesis, and reconstructive procedures of the shoulder and AC joint. He also has extensive experience in the management of athletic knee injuries including ACL reconstruction, meniscal repair, and cartilage repair/restoration. Dr. Brockmeier serves as Team Physician for the University of Virginia as well as for James Madison University. Prior to joining the UVa faculty, Dr. Brockmeier completed medical school and Orthopaedic residency training at Georgetown University followed by a fellowship in sports medicine and shoulder surgery at the Hospital for Special Surgery in New York. He then spent three years in practice in Charlotte, North Carolina, specializing in sports medicine, arthroscopy, and shoulder surgery. While in Charlotte, he served as team physician for the Charlotte Bobcats and was an orthopaedic consultant for a number of high schools and youth baseball organizations. Dr. Brockmeier moved to Charlottesville to pursue an academic career, with a research emphasis on clinical outcomes in the area of arthroscopic and open shoulder procedures. 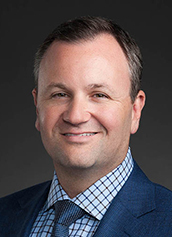 During his career, Dr. Brockmeier has been actively involved in basic science and clinical research with a focus on outcomes after arthroscopic shoulder surgery and shoulder reconstruction. Current research includes biomechanical and clinical studies evaluating the arthroscopic management of biceps tendon disorders of the shoulder, outcomes after SLAP repair and revision SLAP repair, and anatomic and clinical features of anatomic ACL reconstruction. He is the priniciple investigator currently on clinical trials evaluating scaffold augmentation of rotator cuff repair and stemless total shoulder arthroplasty. In addition, he has authored numerous textbook chapters, review articles, and peer-reviewed studies and has given local, regional, and national talks and presentations in his field of interest. In 2014, Dr. Brockmeier participated in the prestigious AOSSM/ESKKA Traveling Fellowship. He was also recently elected to the American Shoulder and Elbow Surgeons.